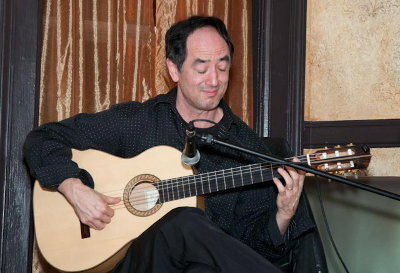 I have many years of experience performing on guitar in jazz, flamenco, and other styles. My wife is a singer, and performs in several languages. We perform as a duo, and sometimes with special guests. If you’d like to find out more and book us for your event, please visit Crimson Canary. If you are interested in having solo guitar for your event, please visit my events page, where I have a variety of sound samples and a contact form. For information about guitar lessons, please click here. Note to brides and party planners: if you’re looking for classical or flamenco guitar for an outdoor event, you may want to read my article Classical Guitar Requires Warm Temperatures first.